City stops in the Reds Caravan West Tour include Muncie, IN on Thursday, January 26 from 6:00 p.m. to 8:00 p.m., Evansville, IN on Friday, January 27 from 6:00 p.m. to 8:00 p.m. (5-7 pm CST), Bloomington, IN on Saturday, January 28 from 10:00 a.m. to 12:00 p.m. and Indianapolis, IN on Saturday, January 28 from 3:00 p.m. to 5:00 p.m. Please visit the Reds Caravan web page for complete details. Thom Brennaman is a sportscaster and the son of Cincinnati Reds sportscaster, Marty Brennaman. Currently, both Thom and Marty continue to broadcast for the Cincinnati Reds. Brennaman participated in Chicago Cubs broadcasts between television and radio in the early 1990s, alternating with Hall of Fame broadcaster Harry Caray. In 1994 he was hired by Fox Sports to call Major League Baseball and National Football League telecasts. During this period he was the first television voice for the Arizona Diamondbacks after which he joined his father Marty in Cincinnati upon the conclusion of the 2006 season. PFP Sports Talent Agency is a top booking agent for motivational sports speakers and sports personalities. 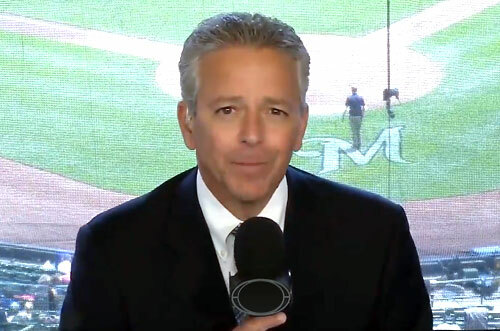 If you would like to book sports broadcasters like Thom Brennaman for a speaking engagement, personal appearance or special event, you can request Thom Brennaman agent and speaker information from PFP Sports Talent Agency or call 800.966.1380.